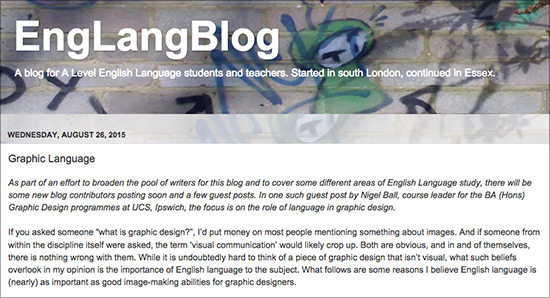 I’ve recently written a guest post for EngLangBlog, a blog for A’ Level English Language students. The post is titled Graphic Language and it’s available to read here. Thanks to Dan for asking in the first instance, and for the proof reading.